Eastwood Mall is a dog friendly mall. 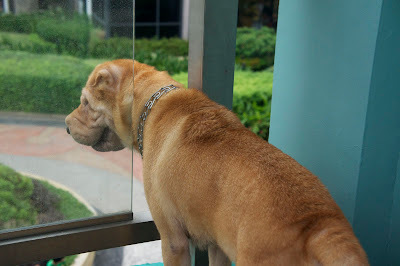 They allow dogs even inside the mall itself - as long as you register them with the concierge. 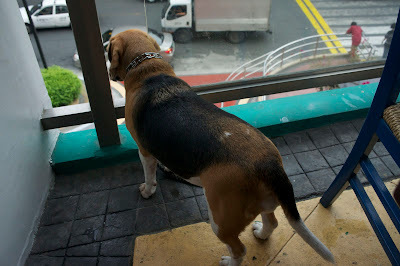 I wanted to make it up to the two Royal Canines for being away last month all the time - so I decided to take them to Eastwood. Before we actually walked the dogs around the mall - we had to grab some lunch. I was hungry - and so were the rest of the queens. 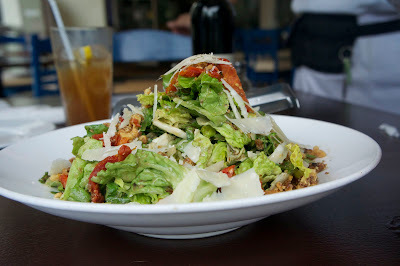 We decided to have lunch at Cyma. 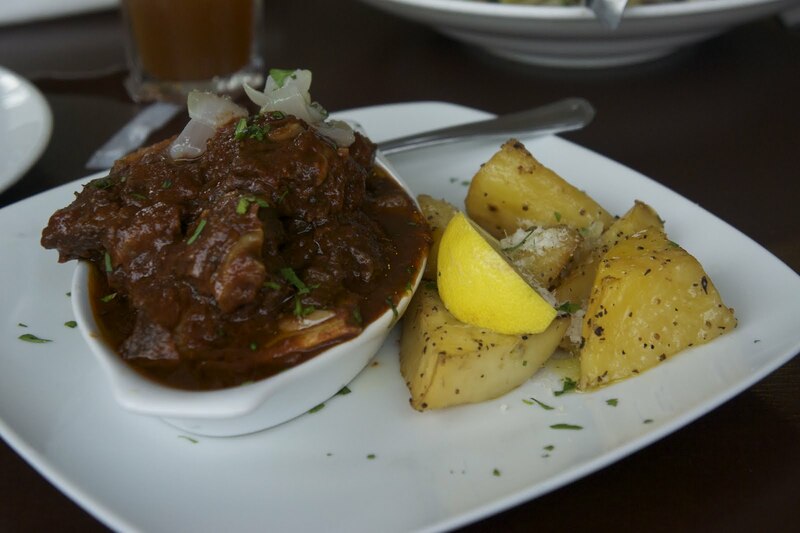 This is not our first time at Cyma - but it is our first time to order the Short Ribs Stifado. If you have not tried this before - you must try it the next time you go to Cyma. For me - it's like mechado but so much better. That's because it has been seasoned with special spices which our local mechado does not have. Unfortunately - I couldn't pinpoint what those spices were. But it doesn't mater - you just need to take my word and order it next time. Apart from the Short Ribs Stifado - we also ordered the Roka Salata. It's our favorite salad from Cyma. This was a bit of a disappointment because the greens were not as crisp as they should be. 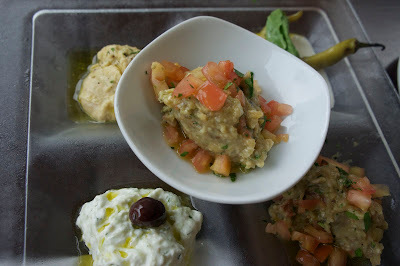 Of course - for starters we had the Pikilia which is the five combo starters. We had Tzatziki, Melitzanozalata, Hummous, Htipiti and Melitzanozalata ( yes we had two servings of this because we didn't like the Taramosalata ). The two dogs actually enjoyed our seating area. Cyma is on the second floor of the Eastwood mall and they can look over the balcony to spot the other dogs who were being walked by their respective humans. We gave them some pieces of the Pita bread - which they enjoyed. They wanted to have some of the Stifado which I didn't give them because it might have wine reduction - which is made of grapes - which is toxic to dogs.